With summer just around the corner, our attention turns to Greece! Turquoise waters as far as the eye can see. This is the idea most of us have of the Greek Islands, considered the most popular sea destination in Europe. So we’re to help by sharing a list of some of our favourite Greek islands! Ready? Read on! For our first choice, we’re going with the classic and well-known Santorini. 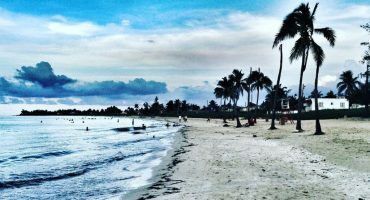 If you are looking for the perfect blend of ingredients listed at the beginning of the article, together with a hint of romance and a bit of nightlife, then this island is perfect for you. The rugged black sand beaches of volcanic origin contrast with the blue sea and white houses of Fira, a village perched on the western side of the island from which you can enjoy breathtaking sunsets. The best beaches: Red Beach, named after the unique lava colored sand, White Beach, Kamari and Perissa. 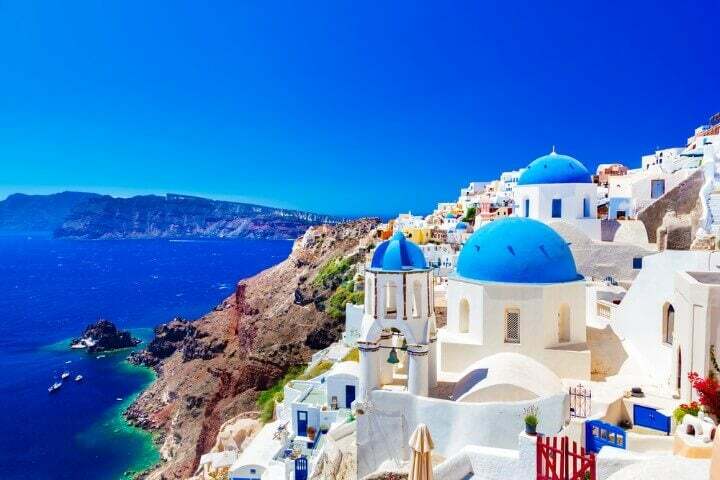 How to get there: You can fly directly to Santorini’s (Thira) National Airport or book cheap flights to Athens‘ International Airport “Eleftherios Venizelos” with EasyJet and catch a ferry to Santorini. ✈️ Find flights to Santorini! ✈️ + 🏨 Search for flight + hotel in Santorini! 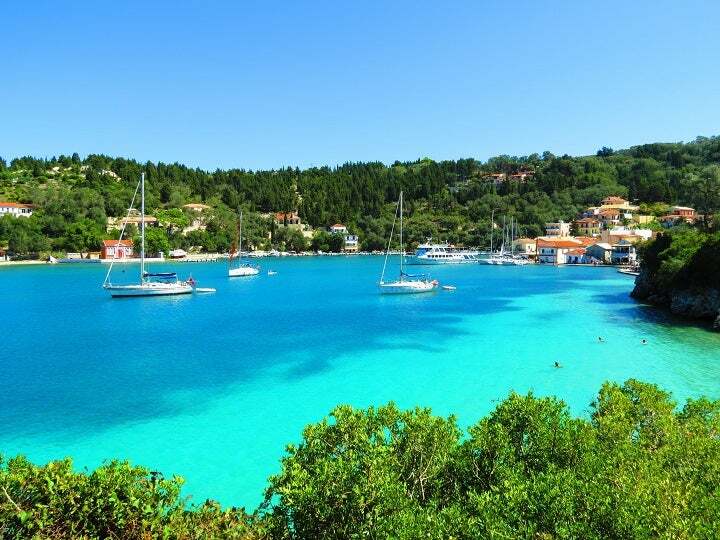 Paxi is one of the largest Ionian Islands and is close to Corfu. Although it’s smaller and less known than the other islands, it’s absolutely a perfect oasis of tranquillity for couples or any kind of traveller seeking privacy. 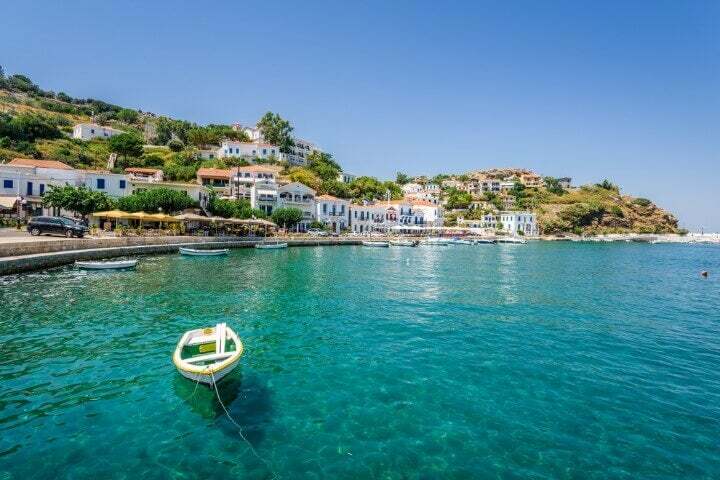 There are stunning beaches and restaurants in the main port of Gaios that serve fresh fish. The best time to enjoy the magical atmosphere is in the evening, right when the tourists that have come from Corfu to spend the day have left the island and you can sit at a table in a tavern to drink Ouzo, the popular anise-flavoured aperitif. 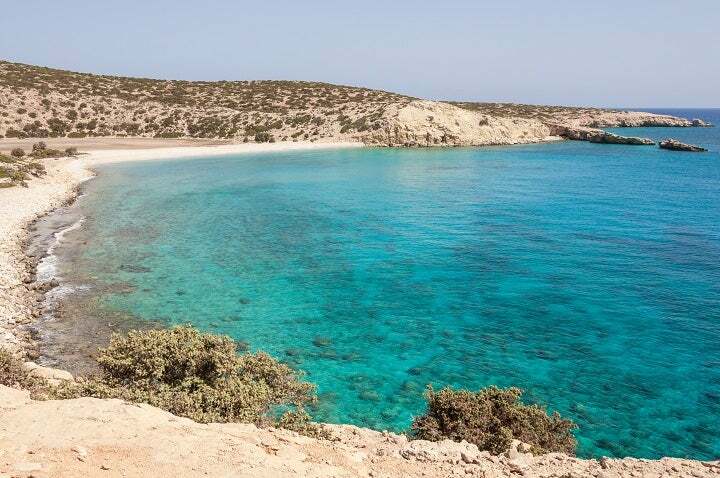 The best beaches: Soulanena, Kloni Gouli, Gianna, Kipiadi (accessible only by foot or boat) and Sterna Bay. But we recommend to go around the island and discover your personal favourites. How to get there: You can only reach the island by boat. You can take a ferry or speed boat from Kerkyra (Corfu) or from the Greek mainland in the town of Igoumenitsa. 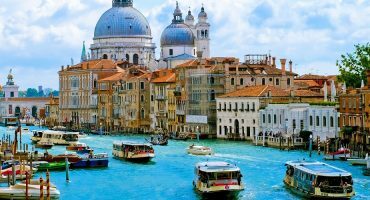 ✈️ Search flights to Corfu! Mykonos is the best choice for those who want to party. The laid-back vacation vibe is contagious and takes over anyone landing on this island. For this reason, Mykonos has become one of the most popular destinations in Greece. Mass tourism hasn’t affected the beauty of the island yet, with picturesque houses and narrow streets full of Cycladic architecture and, not to mention, the crystal clear blue sea. The best beaches: Paradise Beach, Elia, Kalafati and Panormos. 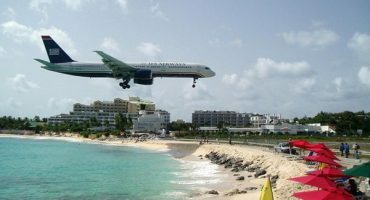 How to get there: Seasonal flights to Mykonos from companies like easyJet, Thomson Airways and Vueling (to name a few) to the Mykonos Airport. You can also fly to Athens and take a ferry to the island! ✈️ Take me to Mykonos! Mountains and rough back roads make this island the perfect pick for adventurous travellers looking for day trips to explore rich wildlife. You can come face to face with wild animals like exotic birds and dwarf elephants on the small and rural island of Tilos. The beaches are rocky and difficult to access, but once you get there you’ll be able to enjoy the peace and quiet of nature, even during peak season. The best beaches: Eristos, Red Beach and San Antonio. How to get there: The island doesn’t have an airport but you can fly to fly to the island of Rhodes and go by boat. You can also reach by boat from Pireo, Mykonos or Athens. ✈️ Take me to Rhodes! Icaria is located in the Aegean Sea, about 20km from Samos. It was named after the Greek mythological God, “Icarus”, and the legend states that he fell into the sea near the island when he was trying to escape from Crete. Icaria’s beauty lies in it being so inaccessible: mountainous and wild, with breathtaking views. The small bays are mystical, and you’ll be able to enjoy its thermal waters and the island’s unique architecture which takes you back to the ancient Greece. Could this be why the Icarians are some of the longest living people on the planet? The best beaches: Iero, Agios Giorgi, Therma (thermal hot mineral springs), Prioni and Kilosirtis. How to get there: Fly to Athens and take the ferry of Aegeon Pelagos on the Samos route. 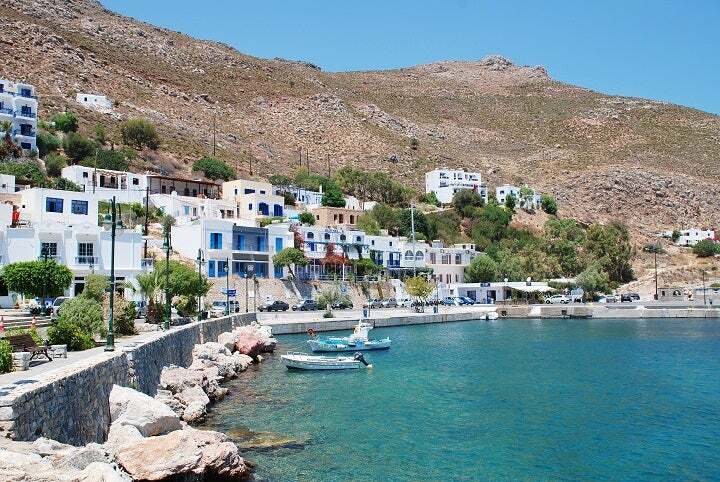 In the archipelago of the Sporades, located in the western part of the Aegean Sea, you will find the island of Skyros. It’s the largest, and probably the most peaceful among this group of islands. There is no night-life, but during the day you can rent a bike or a scooter and wander the streets to discover its hidden treasures. The northern part of the island is hilly and green and home to Mount Olympus, while the south is arid and barren… A contrast that will make you fall in love! The best beaches: Gyrismata, Atitsa, Palamari, and Ahrounes. How to get there: There are direct flights to Skiros‘ National Airport from Athens Thessaloniki Airport. We don’t recommend to take the ferry as it takes too long to get there. ✈️ Find flights to Skiros! 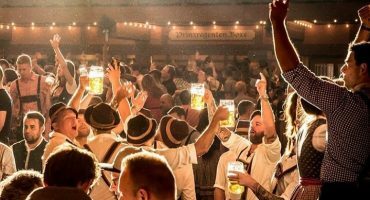 The southernmost island in Europe is included in our list because of its unique and intact nature and its dedication to maintain their local traditions. There are few tourist accommodations, but we recommend to grab a tent and sleep in the beach under the stars. Its beaches are one of the most beautiful in Greece and probably the entire continent. The few permanent inhabitants (only about 50 people are year-round residents) mingle with new residents, mostly artists, who choose to live here, leaving watches and mobile phones behind. Do not miss Tripiti Cape, the southernmost point in Europe. The best beaches: Agios, Ioannis and Potamos. 80% of them are nudist beaches! How to get there: You can take a boat from Crete with the company Anandyk (it takes about 2 hours). The statue of “Venus de Milo”, one of the symbols of classical beauty and excellence, was discovered here. 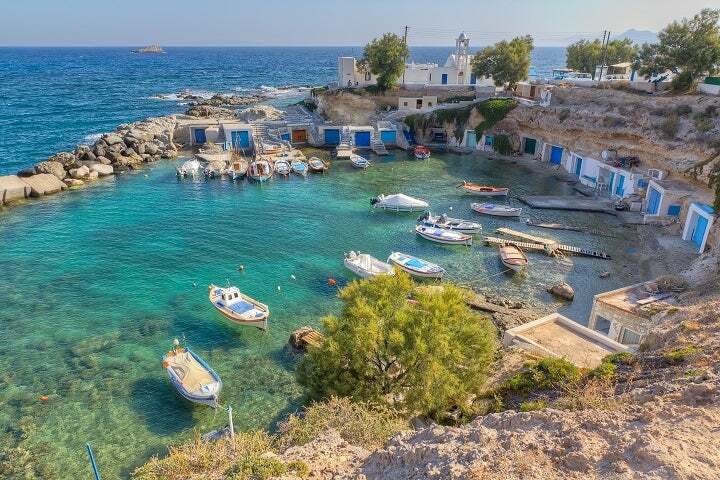 There’s no doubt where it’s inspiration and beauty came from: the small island of Milos is indeed paradise! The island is located south-west of the Cyclades and is characterized by its lunar landscape with rocks and white sand. The island’s strong point is its beaches: 70 in total, many of these hidden, are all so magnificent that they’ll take your breath away. And what’s strange (and appealing) is that it is nearly deserted during summer! The best beaches: Papafragas, Sarakiniko, Pollonia, Papikinou. 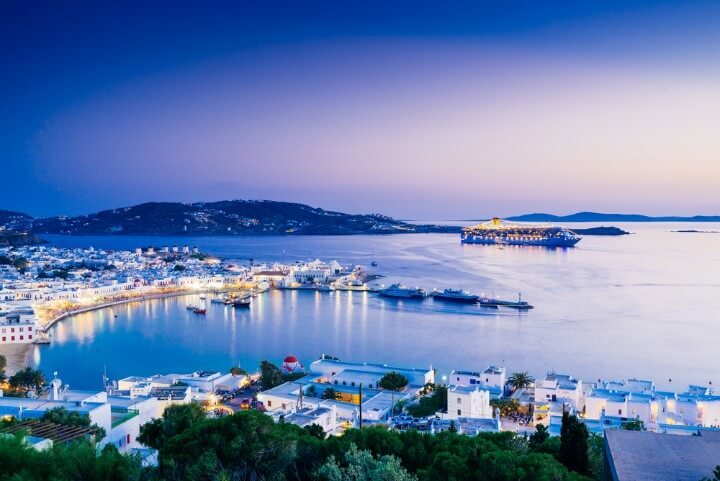 How to get there: Direct flights to Milos from Athens with Olympic Airlines. If you prefer, you can take a ferry from Athens, but we don’t really recommend it because it takes around 9 hours to get there! Do you agree with our selection? What are your favourite Greek Islands? I disagree with you. I don’t understand way Santorini is first ,This volcanic island with ugly beaches , I love Ionian islands like Corfu ,Lefkada or Zakhintos , this island are really beautiful.